Today, I will discuss church number five which is the church of Sardis. As, I have been doing, I will start with what Jesus liked about the church of Sardis and what Jesus Christ did not like about the church of Sardis. Sardis – Things Jesus liked – Rev. 3:4 – Thou hast a few names even in Sardis which have not defiled their garments; and they shall walk with me in white: for they are worthy. Things Jesus did not like – Rev. 3:1-2 – 1 And unto the angel of the church in Sardis write; These things saith he that hath the seven Spirits of God, and the seven stars; I know thy works, that thou hast a name that thou livest, and art dead. 2 Be watchful, and strengthen the things which remain, that are ready to die: for I have not found thy works perfect before God. 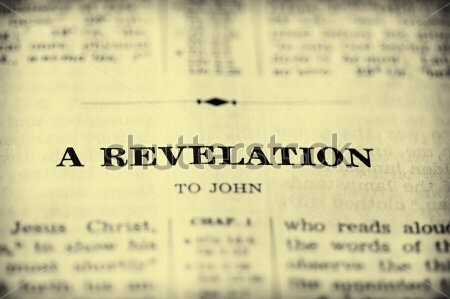 Jesus Christ also gave a warning to the church of Sardis, and the warning is contained in Revelation 3:3 which states: Remember therefore how thou hast received and heard, and hold fast, and repent. If therefore thou shalt not watch, I will come on thee as a thief, and thou shalt not know what hour I will come upon thee. Jesus Christ liked that there were still a few people from the church of Sardis that were found worthy and had not defiled their garments. There are things that Jesus did not like, one being that the church of Sardis had a reputation that it is an “alive” church. Meaning that this church was alive in Jesus Christ, but in reality this church was dead. Meaning that the church of Sardis was without Christ. There were a few people who were alive in Christ and it seems there were more people who were dead – living without Christ in the church of Sardis. Jesus tells these people that they have to be very careful, and strengthen the things that they have, because they are almost about to lose those beliefs. According to Jesus He did not find their works perfect before God. Jesus also issued a warning to the people who have defiled their garments. And, He said, remember what you have learned, and hold on to your belief. Don’t let your unbelief guide you. Jesus advised these people in the church of Sardis to repent and return to Him. The actual warning that Jesus issued was that if they don’t watch for His return, than Jesus would come to them as a thief, and they won’t know what hour He will come. In the warning Jesus made it seem like if the church of Sardis watch for Christ’s return they will know approximately when He will come back for His bride. In 1 Thessalonians 5:1-10 it is written: 1 But of the times and the seasons, brethren, ye have no need that I write unto you. 2 For yourselves know perfectly that the day of the Lord so cometh as a thief in the night. 3 For when they shall say, Peace and safety; then sudden destruction cometh upon them, as travail upon a woman with child; and they shall not escape. 4 But ye, brethren, are not in darkness, that, that day should overtake you as a thief. 5 Ye are all the children of light, and the children of the day: we are not of the night, nor of darkness. 6 Therefore let us not sleep, as do others; but let us watch and be sober. 7 For they that sleep, sleep in the night; and they that be drunken are drunken in the night. 8 But let us, who are of the day, be sober, putting on the breastplate of faith and love; and for an helmet, the hope of salvation. 9 For God hath not appointed us to wrath, but to obtain salvation by our Lord Jesus Christ, 10 Who died for us, that, whether we wake or sleep, we should live together with him.